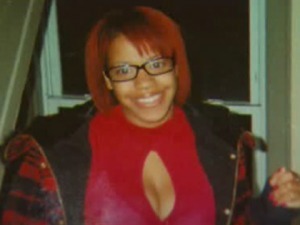 (CBS/WBBM/AP) CHICAGO - Seconds before 17-year-old Charinez Jefferson was shot she begged the gunman not to shoot because she was pregnant, prosecutors said, according to a report. Despite of her last-minute plea, 18-year-old Timothy Jones opened fire causing Jefferson to suffer multiple wounds to the body and one shot to her head, reports the Chicago Tribune. Authorities say Jefferson was later pronounced dead at a hospital. However, doctors saved her baby boy, who remains in critical condition with an emergency surgery. Chicago authorities have charged Jones with first-degree murder in the Aug. 16 shooting. According to police, Jefferson was walking with friends in Chicago's Marquette Park neighborhood when a man ran toward the group and began shooting. Police say witnesses led them to Jones, who was denied bond at a hearing on Monday at the Cook County Criminal Courthouse, reports CBS affiliate WBBM. Jefferson, who would have been a junior in high school this year, is survived by both her newborn and a 16-month-old son, WBBM reports. Nobody else was injured in the shooting.